The town of Kensett was incorporated in 1872. In 1879 we got our first newspaper which was called the Kensett Mail. It was started by James Elliot and Mr. Raymond. Mr. Elliot was noted for his fiery editorials which took a prominent part in the heated efforts to move the Worth County seat to Kensett. After this effort failed the Kensett Mail eventually went with the Northwood Pioneer. Our second newspaper was the Kensett News established in 1884 with manager Fred Mitchell. This business was located in a small white building that stood where the county shed has its road salt on main street. It was the leading newspaper in Worth County with a circulation of 1,700. The subheadings included the Manly Chronicle, Joice Review, and Grafton Journal. Now we have the Kensett Courier, not a newspaper but a way to keep the Kensett residents aware of what is going on in the community. We are starting our 39th year of the Courier. 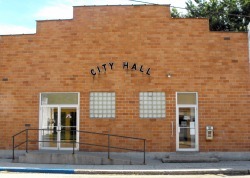 Be sure to check the Community Updates for all the activities going on in Kensett. 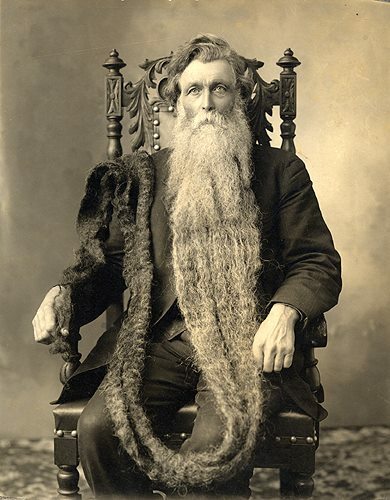 Hans Langseth is credited with having the world record for the longest beard at 17 feet 6 inches. Langseth was born in Norway in 1846, but immigrated to the United States as a young man, settling with his wife in Kensett, Iowa. He stopped shaving at age 19, entered a beard growing contest and decided to keep it. Hans spent much of his life as a farmer, but for a while, he traveled with a circus show, known as King Whiskers, exhibiting his beard to the public. He tired of that and left it after numerous nonbelievers yanked his whiskers to see if they were real. When Hans Langseth died in North Dakota in 1927, he left his surviving children with a final wish. After his open-casket funeral, he wanted to have his beard cut off and stored for posterity. His son acquiesced, lopping off his father's beard before the casket was buried. The beard sat tucked away, boxed in an attic, for decades before Langseth's son Russell donated the beard to the Smithsonian. Later, Langseth's body was exhumed and moved to the Elk Creek Church Cemetery, rural Kensett, Worth County, Iowa to be alongside his wife who passed away years earlier. Photo credit, Nils C. Jorgenson, circa 1912. Kensett was named after a Baltimore oyster packer named Thomas Kensett, who promised to build a church in town if it was named after him. He never fulfilled his promise. We are a small rural community which offers many opportunities. Located on Hwy 65 in northern Iowa, we are only 15 miles north of Mason City, IA and 23 miles south of Albert Lea, MN. We are only 7 miles east of Interstate 35 at exit #208. Other local communities are Northwood (6 miles north), Manly (5 miles south), Joice (13 miles west) and Grafton (9 miles southeast). Our school system is with Northwood-Kensett Community Schools located in Northwood, IA which has many opportunities for your kids to excel, even with scholarships for any graduating student living in Worth County for at least two years, thanks to the Worth County Development Authority. We offer the quiet living of the country, yet we have many amenities of the larger city. We have hard surface streets, sanitary sewer system, natural gas service, fiber optic telephone-television, wireless internet service and cable television. Kensett has a population of 280.